Thirty U.S. cancer research centers are to be named National Clinical Trials Network Lead Academic Sites, a prestigious new designation by the National Cancer Institute (NCI). One of them is the Harold C. Simmons Comprehensive Cancer Center at UT Southwestern Medical Center, the only cancer center in North Texas to be so designated. Over five years, UT Southwestern will receive $3.24 million from a U10 grant to bolster the cancer center’s clinical cancer research for adults and to provide patients access to cancer research trials sponsored by the NCI, where promising new drugs often are tested. Dr. James Willson, Associate Dean of Oncology Programs, and Professor and Director of the Harold C. Simmons Cancer Center, considers this award demonstrates UT Southwestern’s cancer center is still the leader in North Texas and one of the national leaders in the latest cancer research. “It will build on our past successes in this area, allowing us to expand the offerings of experimental cancer treatments to people throughout North Texas,” he said. Adult participation in clinical trials at the Simmons Cancer Center more than doubled to 105 participants from 2006 to 2012. This new grant expands UT Southwestern’s ability to do even more clinical trials, said Dr. Joan Schiller, Deputy Director of Simmons Cancer Center, who wrote the grant application. Cooperative group trials are national drug trials where promising new drugs are tested in patients at research centers throughout the country to get a wider, more accurate representation of the patient population. UT Southwestern has been a leader in such trials, with many faculty members chairing national committees that chart the course of cancer research and chose which treatments will go to clinical trials. Dr. Schiller, founder and president of the National Lung Cancer Partnership, chaired the Eastern Cooperative Oncology Group’s committee on lung cancer, and serves as the institutional principal investigator. Dr. Hak Choy, Chairman of Radiation Oncology at UT Southwestern, chaired the committee on radiation therapy and holds numerous committee appointments within the Radiation Therapy Oncology Group (RTOG), the national clinical cooperative group for radiation therapy studies funded by the National Cancer Institute (NCI). Dr. David Miller, Professor of Obstetrics and Gynecology, chaired the committee on gynecologic cancer, serves as a principal investigator for the NCI’s Gynecologic Oncology Group, and participates in the evaluation and cancer treatment protocols developed by that organization. NCI officials awarded U10 grants to institutions based on the number of patients that organizations had in clinical trials in the past, as well as on their track record of offering new, useful ideas for clinical trials. According to Dr. Schiller, NCI wanted to reward what they call high-accruing sites – the sites that they thought were really good. It is therefore a recognition of “our excellence in clinical research,” he said. UT Southwestern is the only institution in North Texas that is a member of the National Institutes of Health’s Gynecologic Oncology Group. Dr. Marilyn Leitch, Professor of Surgery, serves on the NCI’s Breast Cancer Steering Committee, is a member of the board of directors for the Alliance for Clinical Trials in Oncology, one of the nation’s foremost NCI cooperative groups for cancer research, and helped spearhead the establishment of UT Southwestern’s Center for Breast Care, one of the nation’s leading multidisciplinary groups dedicated to breast cancer evaluation and treatment. 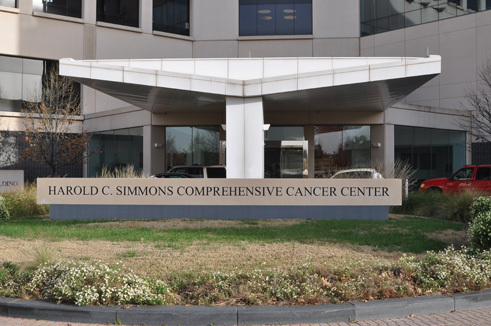 The Harold C. Simmons Cancer Center is the only National Cancer Institute-designated cancer center in North Texas and one of just 66 cancer centers in the nation designated by the National Cancer Institute. The center brings innovative cancer care to the region, while fostering groundbreaking basic research that has the potential to improve patient care and prevention of cancer worldwide.